As a former bride, I understand every little detail needs to be just right on your big day. Selecting a makeup artist who can harmonize her expertise along with your wants & needs is so incredibly necessary! I am passionate about making your bridal vision a reality on your most special day. Whether you envision a fresh, natural look or striking, bridal glamour - let's nail it. I love creating flawless, glowing skin, that truly looks & feels like skin! This has reputably become my signature look. My goal is to make sure that your wedding guests see you, not just the makeup you're wearing. Allow me to create for you a timeless bridal look that you will admire & treasure for years to come! The morning of your wedding day should be an incredible experience that you never forget & I would love nothing more than to make that memory even more special for you. My wish is for each one of my stunning brides to feel uniquely catered to & individually pampered, because you deserve to shine! You'll be sipping bubbly mimosas, giggling with your best girls, peeking out the window for a glimpse of your groom & basking in the last few hours as a bride-to-be. I want you to enjoy all of these precious moments & relax knowing that your luxury bridal makeup experience will fit right in with your exciting morning-of festivities, effortlessly. This isn't your typical walk-up, beauty counter makeover. On your wedding day, there's no room for mistake, stress or fluster. Leave your bridal glam hopes & dreams up to a professional. Someone who knows how to apply makeup in such a way that it stays flawless & in place through tears, dancing, laughter & lots of kisses from your new Mr... I promise that when you make this investment in yourself & your bridal party, you will be rewarded. The proof will be in your beautiful wedding images! This will be the most documented, photographed day of your life - keep that in mind when selecting your wedding day makeup artist! The very essentials. On-location makeup artistry for the bride on her wedding day. Faux lashes & touch-up lip color included. My most popular package. On-location makeup artistry for the bride on her wedding day. Personalized wedding makeup consultation & trial prior to event. Faux lashes & touch-up lip color included. Go ahead, treat yourself to a little extra luxury! On-location makeup artistry for the bride on her wedding day. Personalized wedding makeup consultation & trial prior to event. Premium mink strip lashes & touch-up lip color included. Complimentary flower girl makeup. Don't forget Mom! On-location makeup artistry for the bride & mother on the wedding day. Personalized wedding makeup consultation & trial for the bride prior to event. Faux lashes & touch-up lip color included for both. 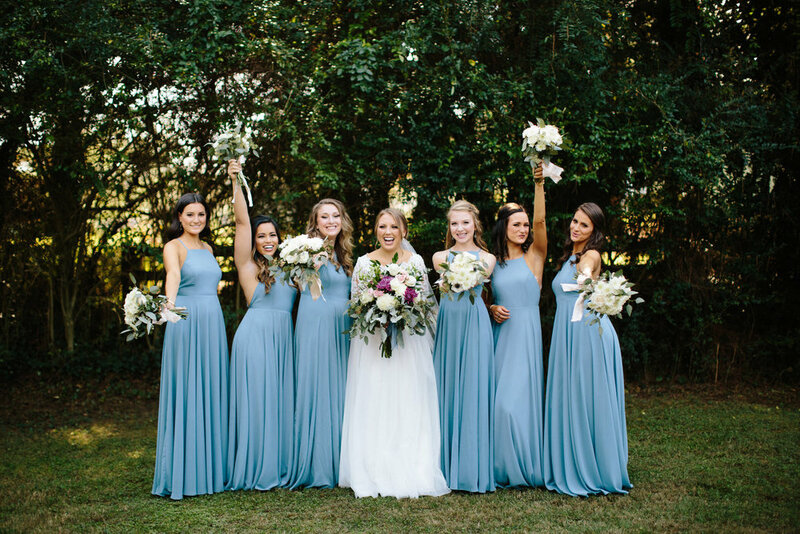 Ensure that your bridal party has a cohesive look that photographs flawlessly. On-location makeup artistry on the wedding day. Faux lashes & touch-up lip color included. Pricing is per bridesmaid. Because she wants to feel like a princess for a day, too. Lip gloss, blush + light mascara. Ages 10 & under. There is a minimum service amount of $350 required for all on-location services during the months of May-October. All bridal packages include faux lashes to enhance the makeup for professional photography. Both traditional & airbrush makeup options are HD friendly. Pricing is subject to change. Destination wedding? Courtney Mills Makeup Artistry travels! Inquire here for more information.